Besides "wanderer" and "adventurer", we also found the meanings "naughty " or "flirty!" To us, it's just the name of the picturesque point nearest to our home, Picara Point. So, whether or not you're a flirty wanderer or adventurer, Picara Pearl Villa & Suites Magens Bay is the perfect place to rest on your journey. Read and view more about our location. Some think of the conch shell, or shankh, as a gift from the ocean. It is the most ancient musical instrument known to man, the original horn trumpet. In some African cultures, the conch shell represents rebirth as well as symbolizes the female and male reproduction organs. The thicker shell is male; the thin shell is female. In Mayan cultures, it symbolized the waters. 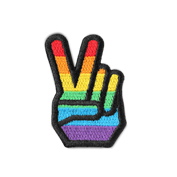 In some Native American tribes, it represents rain. In China, the conch shell signifies a prosperous journey, great luck in travel, and is also a symbol of royalty. Its call is meant to awaken one from ignorance and is a sign of victory over suffering. In India, the conch shell symbolizes the sacred sound "Om." Its call awakens the heart of the faithful and calls to those who live with heart-filled love. It is also an emblem of power, authority and sovereignty whose blast brought terror to the enemy. It is believed to banish evil spirits, avert natural disasters, and scare away poisonous creatures. The conch shell’s spiral form and relation to water causes it to represent the beginning of existence. It is symbolic of infinity and represents the masculine and feminine energies as well as the energies in nature. Energy was once thought to flow in spiral form and mimic the movement of the heavens. The right-spiraling movement of a conch shell is believed to echo the celestial motion of the sun, moon, planets, and stars across the heavens which gradually expands in a clock-wise direction. The shell is like the human journey of life. The hard casing protects life. The pearl inside and its aquatic nature associates it with the feminine, lunar, and virginity that is symbolic in music. The extremely rare conch pearl is produced by the queen conch mollusk which lives primarily in the Caribbean Sea. 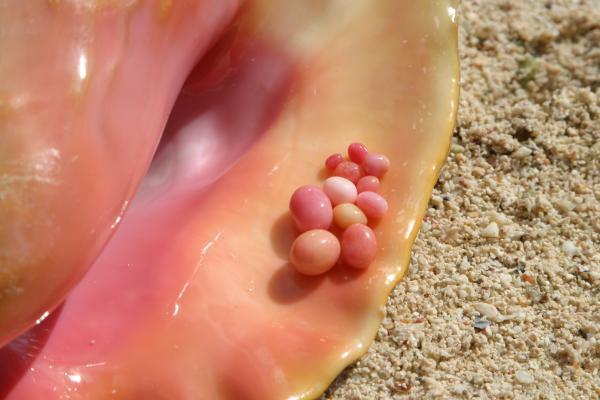 Conch pearls occur in a range of hues, including white, brown and orange, with many intermediate shades, but pink is the color most associated with the conch pearl, such that these pearls are sometimes referred to simply as "pink pearls". 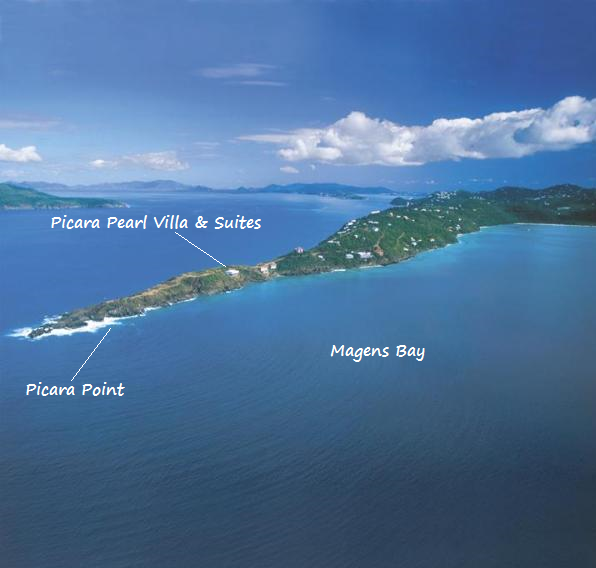 With everything Picara Pearl Villa & Suites Magens Bay has to offer, you will find that it is truly a rare gem indeed!